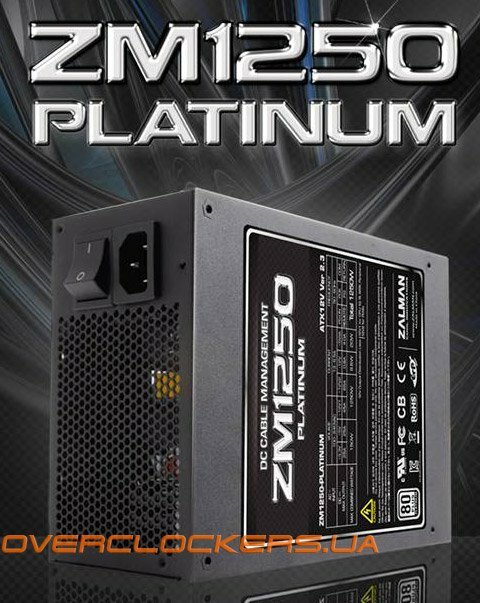 Zalman, a Chinese manufacturer of a wide variety of PC hardware has just introduced a new modular power supply known as the ZM1250 and has been certified as 80Plus Platinum in terms of energy efficiency. The new supply features a 140mm silent fan to cool it off with modular cabling that consists of a large number of molex and SATA pluges. It’s also compliant with ATX v2.3, SSI-EPS v2.93, and ErP Lot6 2010. The ZM1250 uses a dual rail design, 45W & 65W, with the 65W rail powering the eight 6+2 pin PCIe power connectors, two of which are fixed and six are modular. The 45W rail powers the 24 pin ATX motherboard connector and the CPU/EPS connectors, which are not modular.